Directed by Stanley Kubrick. 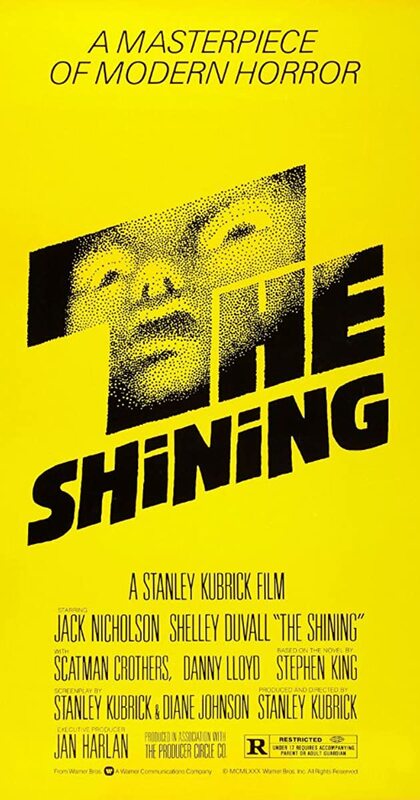 With Jack Nicholson, Shelley Duvall, Danny Lloyd, Scatman Crothers. A family heads to an isolated hotel for the winter where a sinister presence influences the father into violence, while his psychic son sees horrific forebodings from both past and future.